A furious row erupted yesterday over reports that a senior member of Nelson Mandela’s family was seeking to cash in on the death and funeral of the anti-apartheid leader. Mandla Mandela, Mr Mandela’s grandson, denied press reports that he had sold the rights to televise the funeral to the state broadcaster for £230,000. The former President's, 91 Birthday next month 18 July, will be known as Mandela Day and a public holiday in South Africa in the future. Madiba looks increasingly frail. His death is not officially discussed but it is an open secret that a planning committee has been set up to oversee what is expected to be one of the biggest funerals in recent times. Some members of the family have been accused of positioning themselves for financial gain. With television companies quietly opening cheque books, some family members have offered to help international media to gain access. 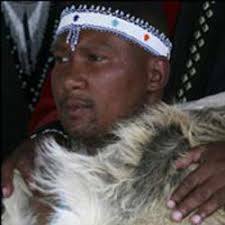 Mandla Mandela, elected recently as an MP for the ruling African National Congress (ANC), has been accused of cashing in on his grandfather’s name, though he strongly denies the claims. He now represents the village of Qunu in the Eastern Cape, where Mr Mandela was born and will be laid to rest after a week-long lying in state in the capital, Pretoria. It is that event he is reported to have sold. A former top executive who stepped down from the South African Broadcasting Corporation (SABC) last month confirmed that about £54 million had been set aside for “Project M”. International broadcasters have been jostling for sites on which they can mount cameras. Some are reported to have bought land adjacent to the ancestral home where Mr Mandela, known by his clan name, Madiba, will be buried. Mandla Mandela said the suggestion that he had sold the funeral broadcast rights to the SABC was “a blatant lie” and he blamed newspapers for “writing whatever they feel like”. What does a MS-69 Mean?